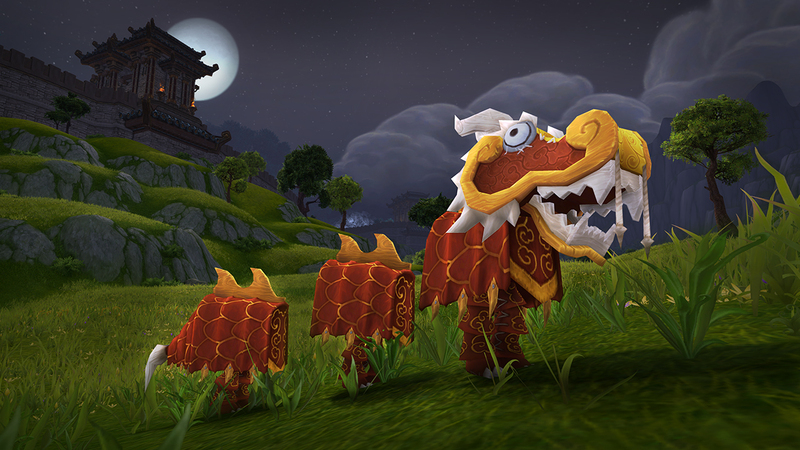 The celebration has begun in Moonglade and your Lunar Festival Invitation is waiting. Join in the fun by dressing up in your Lunar Festival finery, launching fireworks, and paying homage to the Elders throughout Azeroth. The Lunar Festival is a time of celebration for the peoples of Azeroth. At the beginning of each year, elders of generations past manifest around the world to impart their wisdom upon all who listen. Should you encounter these venerable spirits in your travels and take the time to heed their wisdom, they may even pass along tokens of their gratitude — Coins of Ancestry, the lessons of a past age in physical form. Gather enough Coins of Ancestry and the Cenarion Circle will open their stores of celebratory garb, fireworks, trinkets, and recipes! The Cenarion Circle has good cause to celebrate, for the Lunar Festival marks the return of many Ancients that fell in battles past: Goldrinn, Malorne, Aviana, and Cenarius himself. But this celebration is darkened by the eternal torment of one of their own — Omen, a wolf Ancient blessed by the moon goddess Elune, has risen from the depths of Moonglade’s lake. Though Omen was once as noble and proud as any Ancient, he was driven mad by the Burning Legion’s tainted magics during the War of the Ancients. Omen’s immortality means that he is forever cursed to return in his maddened state at the advent of each new year - and this year, he has grown further in power, a challenge for even heroes of level 90. Heroes must make haste to ease this tormented Ancient’s suffering, in the hopes that perhaps next year he will return with a clearer mind. It wouldn’t be a celebration without fireworks. You’ll be asked to buy some Lunar Fireworks and Cluster Fireworks to launch and complete the quest, Lunar Fireworks. 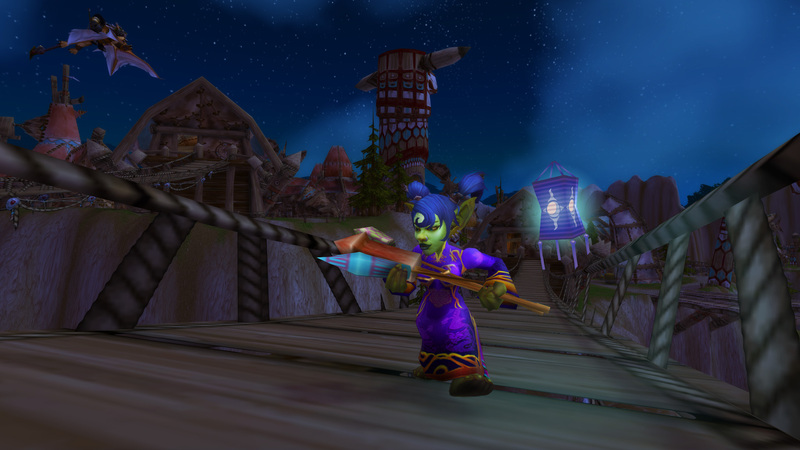 Once you’ve proven your firework prowess, you’ll receive your Lunar Festival Invitation to travel to Moonglade and speak with Valadar Starsong in Nighthaven. With your invitation at hand, you’ll be able to travel quickly to Moonglade by using the greater moonlight throughout the holiday. The Lunar Festival currently has 16 achievements and 1 meta-achievement. It's a good time to travel Azeroth, see the sights, and pay your respects to the various Elders. Visiting an Elder will reward some reputation with select capital cities, a Coin of Ancestry, some experience and gold, and a Lucky Red Envelope. Elders of Eastern Kingdoms (17): Honor the Elders which are located in Eastern Kingdoms. Elder Goldwell in Kharanos, Elder Bellowrage in Blasted Lands, Elder Stormbrow in Goldshire, Elder Meadowrun in Western Plaguelands, Elder Starglade in Zul'Gurub, Elder Winterhoof in Booty Bay, Elder Silvervein in Thelsamar, Elder Skychaser in Sentinel Hill, Elder Rumblerock in Burning Steppes, Elder Dawnstrider in Flame Crest, Elder Highpeak in the Hinterlands, Elder Ironband in Searing Gorge, Elder Graveborn in Brill, Elder Obsidian in The Sepulcher, Elder Windrun in Eastern Plaguelands, Elder Snowcrown in Light's Hope Chapel, Elder Moonstrike in Scholomance. Elders of Kalimdor (21): Honor the Elders which are located in Kalimdor. Elder Runetotem in Razor Hill, Elder Skygleam in Azshara, Elder Moonwarden in The Crossroads, Elder High Mountain in Vendetta Point, Elder Windtotem in Ratchet, Elder Bladeleaf in Dolanaar, Elder Starweave in Lor'danel, Elder Bloodhoof in Bloodhoof Village, Elder Riversong in Astranaar, Elder Grimtotem in Feralas, Elder Mistwalker in Dire Maul, Elder Nightwind in Felwood, Elder Skyseer in Freewind Post, Elder Morningdew in Fizzle and Pozzik's Speedbarge, Elder Ragetotem in Tanaris, Elder Dreamseer in Gadgetzan, Elder Thunderhorn in Un'Goro, Elder Brightspear in Winterspring, Elder Stonespire in Everlook, Elder Primestone in Silithis, Elder Bladesing in Cenarion Hold. Elders of Northrend (18): Honor the Elders which are located in Northrend. Elders of the Alliance (3): Honor the Elders which are located in the Alliance capital cities. Elder Bladeswift in Darnassus, Elder Bronzebeard in Ironforge, Elder Hammershout in Stormwind. Elders of the Cataclysm (13): Honor the Elders which are located in zones opened by the cataclysm. Learn more about the Lunar Festival on Wowpedia, Wowhead's holiday guide, or in the Icy Veins Guide.